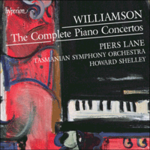 Concerto for two pianos and strings / Malcolm Williamson. 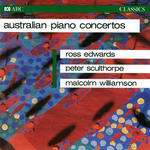 Instrumentation: 2 pianos, string orchestra. Commission note: Commissioned by Astra Chamber Orchestra. 1972: Melbourne. 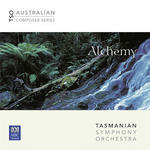 Featuring Charles H. Webb, Wallace Hornibrook, Astra Chamber Orchestra, George Logie-Smith.